I am always ready to learn something new so when I learned about Facing History’s workshop, “A New Approach to Teaching Mockingbird,” I was intrigued. It turns out I found deeper connections to the novel than I had ever anticipated—some that took me all the way back to my childhood in the south. When I teach Harper Lee’s classic novel, I always explain to my students that my father grew up in a town just like Scout’s town in Maycomb County. I grew up in Miami but would visit his family in Mississippi, where he was born. As a child in the late 1950s and early 1960s, I often was subjected to conversations involving disparaging remarks and racial epithets towards African Americans—from both the adults and the children—during these visits. Although my father grew up in this environment, he learned to be a tolerant man. He was an educator who became the principal of a large vocational school helping Cubans, Haitians, and African Americans learn job and academic skills. My mother was also an educator, teaching English at the local high school. She had spent her formative years in South Carolina and was always acutely aware of the racism that hung in the air in the south. She worked hard to integrate our town, including asking realtors to help the black football coach find a home there. That did not go over well. She made a similar attempt to integrate the all-white Methodist church, which only resulted in my mother removing her membership from the church rolls. I tried to emulate my mother’s behavior, but it wasn’t easy. When I first began incorporating works like, The Bluest Eye, Beloved, and I Know Why the Caged Bird Sings, into my classroom in 1987, white parents questioned my choices to teach these works by black authors. They were concerned I might be subjecting their children to situations that would be completely incomprehensible to them. How could I explain difficult topics like the sexual violence black women suffered or some of the desperate measures black people had to take just to survive, they asked. My answer was, I didn’t have to explain anything. The characters in these stories lived lives that most white children didn’t have to experience; just learning about these realities would hopefully foster some much needed empathy and understanding. I have continued to teach short stories, novels, and poetry written by people from different backgrounds. These have been my teaching anchors. Facing History’s approach to teaching To Kill a Mockingbird, helped me reframe my thinking. The workshop encouraged us to recognize and discuss the possibility of varied reactions from our students—such as the idea that some may feel Tom Robinson, the main black character in the novel, doesn’t have much of a voice in the story, even though his life is the one that’s on the line. I have always wanted students to express ideas freely, but have been hesitant to open it up to such sensitive points of discussion. But I realized this came more from my own lack of knowledge about how African Americans may feel about the content and characters in books about their culture and lives. I have never had conversations with black teachers about how I do teach or should teach books that involve racial inequality. Most of the knowledge I have is from my parents’ teachings and of course my own education and observations about racial inequalities. Taking the Facing History workshop was the first opportunity I have ever had to discuss this book with a diverse group of teachers from different racial backgrounds. It also introduced me to student centered teaching strategies, such as the close reading protocol, which further helped me connect with colleagues whose experiences and viewpoints were different than my own. I walked away knowing that I can let students personalize their opinions and reactions to the book—even if those opinions and reactions may be sensitive or bring discomfort. After 35 years of teaching To Kill a Mockingbird, I still managed to learn something new. Heading back to the classroom, I plan to address the racial issues historically (then and now) and ask more questions about Tom Robinson. I want my students to be able to situate the text and feel comfortable with their feelings and responses. I want to give students the platform to talk about how they feel about racial injustice, where they learned about it, and what they can do about it. I learned to be passionate about combating racism from the examples my parents set. I can only hope that I can set the same example for my students and that they will take some of my exuberance and passion—not to mention some literary knowledge—with them beyond the walls of high school. How can Facing History transform your perspective on To Kill a Mockingbird? 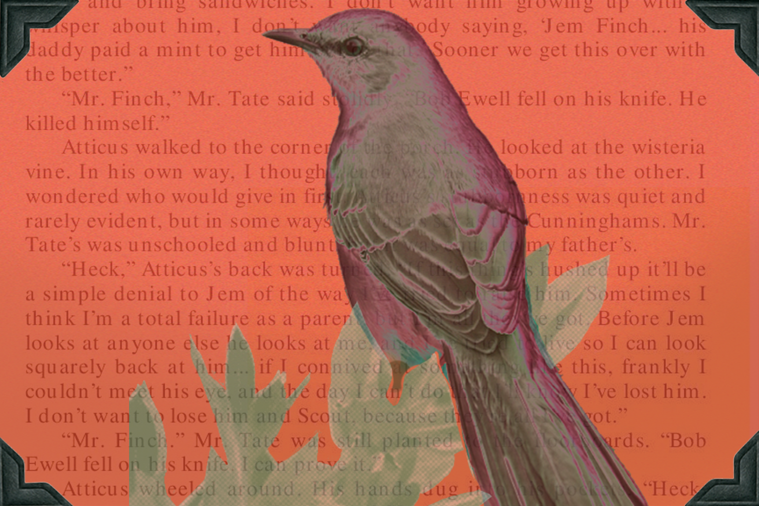 Check out our online course "A New Approach to Teaching Mockingbird," this summer. No matter how long you've been teaching this novel you can challenge yourself to learn something new all while connecting with other educators like you. Deborah Hibbitt is a 35 year veteran of the Miami-Dade County Public school system. She began her career working with Cuban, Haitian, and South American immigrants and tourists as an ESL teacher, then taught Advanced Placement English Literature at the local high school for 23 years. She is presently teaching ninth grade gifted English at Terra Environmental Research Institute in Miami, Florida.